Hi, my name is Callye Alvarado, and I might have a cookie problem. Oh who are we kidding? It’s not a problem, it’s a full blown obsession. 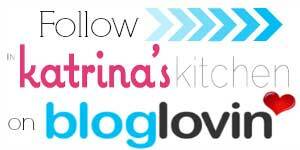 I love cookie decorating so much that I have an entire blog dedicated to the subject. 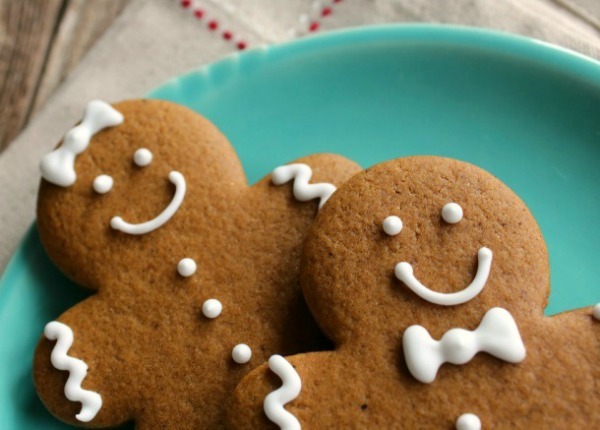 I bake so many cookies that I’ve become pretty good at resisting the occasional nibble, but that goes away when I break out my gingerbread recipe. It’s so good I think everyone should try it. Even my husband, who’s not a gingerbread fan, admits it is good. I prefer to keep my gingerbread decoration simple so that the cookie can shine through. I think they agree! Cream together shortening butter and granulated sugar. Add the molasses and eggs and whip until light and fluffy. 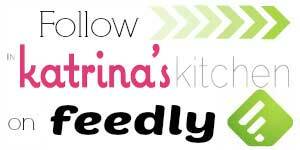 Sift all of your dry ingredients into a large bowl then use a measuring cup to add the dry ingredients about 1 cup at a time. Separate the dough into three equal pieces, then wrap in plastic wrap and chill for an hour or two. Roll out on floured parchment paper to about 1/4 an inch thick and cut into desired shapes. 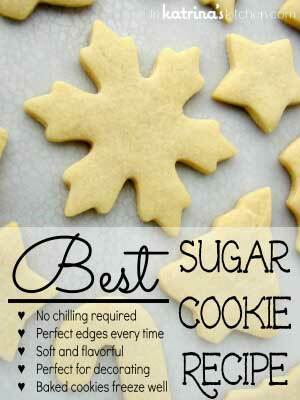 Place the cut out cookies into the freezer for ten minutes or so before baking. 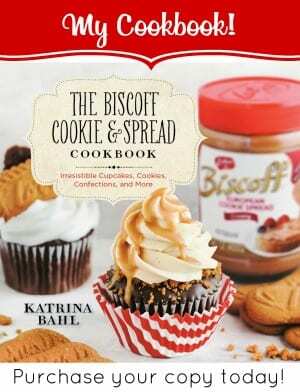 Bake at 375° for 6-8 minutes for small cookies, 8-10 minutes for medium, and 10-15 minutes for large. Let cool, then decorate with vanilla royal icing. 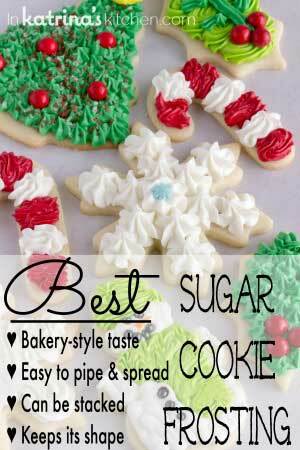 Get SweetSugarbelle's Vanilla Royal Icing Recipe and Method here. 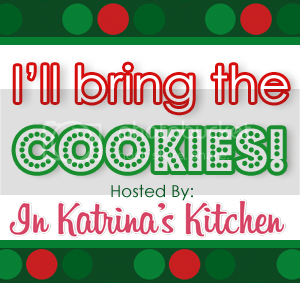 Thank you for inviting me to attend your annual cookie exchange, Katrina, I always have a blast! Cannot wait to see the cookies yet to come. Happy holidays, and even happier baking my cookie friends! Thanks for bringing the cookies, Callye! 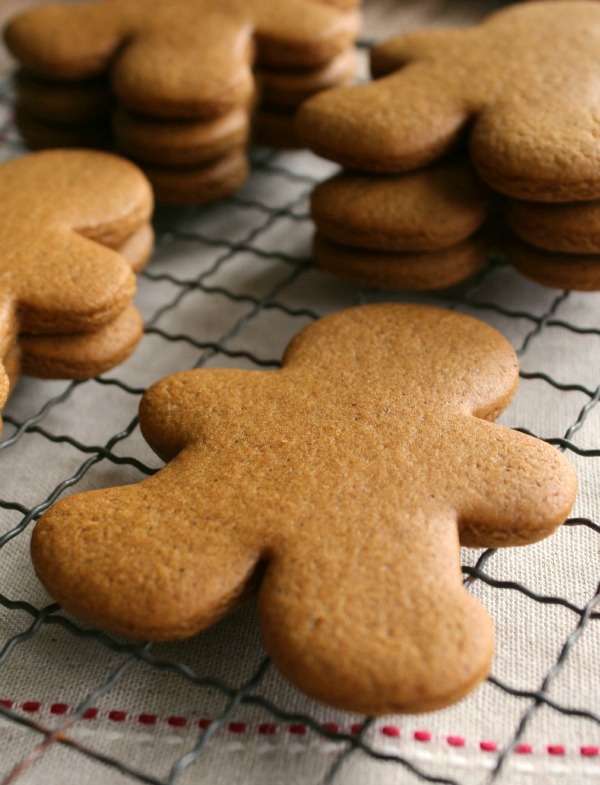 These are the best tasting gingerbread cookies we have ever made. I don’t have shortening in our house so we always substitute the shortening with butter but it always turns out well. I’ve been asked for the recipe by other people. Thank you for sharing it! can u use all butter or instead of shortening,,,use coconut oil ? About how many dozen cookies will this recipie make? 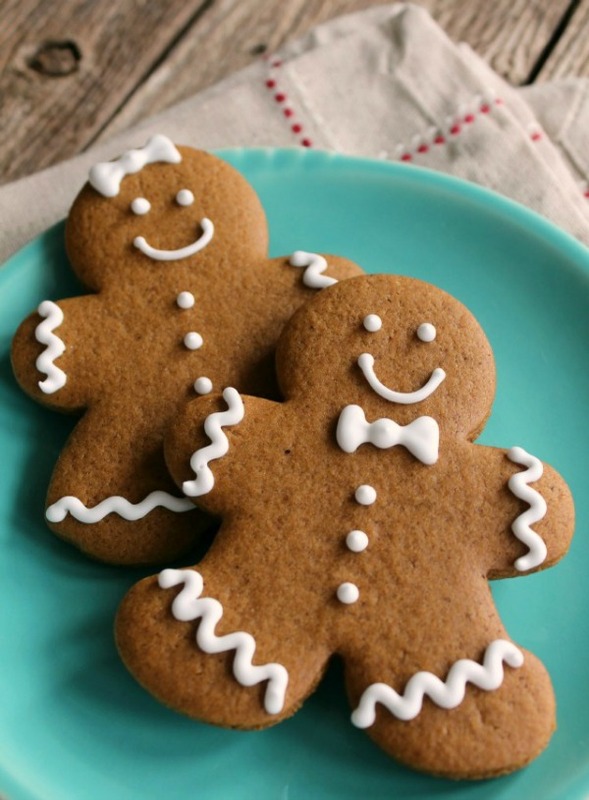 Would love to bake the gingerbread biscuits. Can the molasses be substituted with golden syrup? Would this receipt be suitable to use for a gingerbread house?